Insights: The Real Competition for Netflix Is...A Single Videogame? Yup. Earnings announcements and shareholder letters tend to overflow with carefully selected euphemisms, cherry-picked financials, and rosy yet vague predictions. But sometimes, these exercises in exquisite artifice actually say something compelling. Witness last week’s Netflix shareholder letter accompanying its quarterly results. And Netflix isn’t the only big media company coming to understand they’re playing on a much bigger field than the comfy confines of traditional Hollywood. Having the most Emmy wins isn’t going to get the attention of the kids these days. Last June, John Stankey, the AT&T executive overseeing the newly acquired Time Warner assets, alarmed old-school traditionalists when he said HBO, cable’s oldest network, could no longer rely on the prestige it built over decades of award-winning shows if it wants to keep bringing in subscribers. Stankey said HBO’s gifted development executives can’t just focus on making a handful of really good shows every year. That approach worked brilliantly in earlier eras of TV, yielding all-timers such as The Sopranos, The Wire, and Game of Thrones. But it no longer makes sense. Instead of creating hours a month, or even hours a week in content, Stankey said, HBO needs to start creating hours a day. Competitors such as YouTube are serving up seemingly endless boatloads of content to keep people on their sites, Stankey said. HBO, increasingly unmoored from its cable roots through HBO Now and whatever WarnerMedia rolls out later this year, will need to give people more and more reasons to come and to stay. Indeed, a couple of months after that HBO all-hands meeting, Netflix drove home Stankey’s point, breaking HBO’s 16-year streak of winning the most Emmys. For comparison, this happened even as Netflix was debuting 600 hours of new programming in a month, or about 50 minutes of shows for every hour of real time. HBO’s competition certainly isn’t (just) long-time foes such as CBS, FX, and Showtime, though some of its employees may still think that. It’s not even Netflix, which now has 139 million worldwide subscribers. The real competition is, just as Netflix pointed out, everything else people are doing, especially with content that is easily accessible, inexpensive and enjoyable. If they had Emmys for garnering attention, Fortnite would win the most. Among the younger audiences that every network and advertiser covets, three things matter a lot: a good mobile experience, shorter-form content, and a social/shareable component. YouTube (despite its weak social functions) is well positioned. 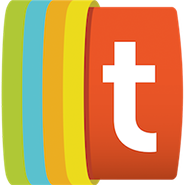 So is red-hot Instagram, perhaps TikTok, and maybe the messaging services that integrate games, video, stickers, GIFs, photos and much else on what are essentially alternative cross-platform operating systems. That list also should include Fortnite, whose Battle Royale mode on just about every platform has dominated the video game industry for more than a year. That Fortnite is even in the conversation this long after launch is one testament to its power. Last year, Fortnite publisher Epic Games lived up to its name with an epic year. Company sources told TechCrunch the company pulled in $3 billion in profit in 2018, in large part thanks to Fortnite. Industry analyst SuperData estimated that Fortnite generated more revenue than any game in history. SuperData also estimated Fortnite has 200 million players, far more than Netflix’s subscriber base or that of any other Hollywood company. 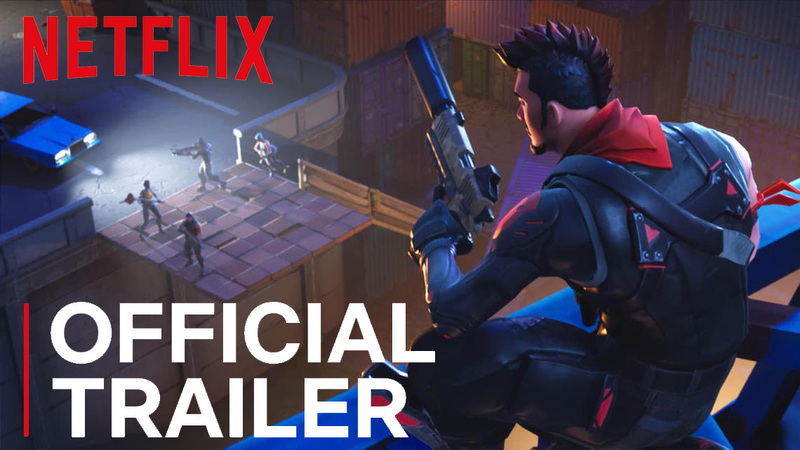 Admittedly, Netflix subscribers are paying to watch, as opposed to those hanging in free-to-play Fortnite. But aside from the gargantuan numbers involved, it’s important to note why the game is doing so well. Yes, Epic’s game-makers routinely tweak the title in significant ways. Just as importantly, though, Fortnite has become a social experience. But for kids, it’s fair to argue that hanging out in the Fortnite lobby chatting, or watching friends or even stars such as Ninja play, is as big a social experience as anything on offer from the social platforms, never mind Netflix, HBO and the rest of Hollywood old and new. Out of all this, then, perhaps it’s not surprising that Netflix executives plan to offer more game-like interactive experiences such as December’s much-discussed Black Mirror: Bandersnatch movie. After all, what sector controls the biggest share of the entertainment business these days? It’s games, which grossed an estimated $113.4 billion in the world last year. Maybe even Netflix needs to get in the games business these days, just to keep up with Fortnite, the real competition.